There are many advantages to buying a used Hyundai. When it comes to competitive pricing and vast selection, a used Hyundai from Joseph Airport Toyota, conveniently located near Dayton OH, is just what you need. You’ll be impressed when you learn about the thorough reconditioning process every used model goes through before being displayed in our showroom. 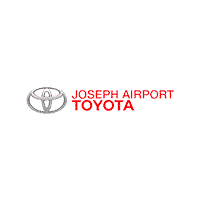 You can rest assured at Joseph Airport Toyota, we have your best interests in mind; we diligently put our used vehicles through an extensive multi-point inspection to check for any history of damage and to weed out any mechanical, safety, or cosmetic defects. We guarantee our selection of used Hyundai vehicles will be just like new. Check out our state of the art service center, where you can trust our certified team of master technicians will take care of you as well as your new-to-you Hyundai. Relax and enjoy donuts on us in the morning, and if you drop by in the afternoon you can expect sandwiches and complimentary popcorn as well as free Wi-Fi throughout the day. At Joseph Airport Toyota, prepare for the ultimate selection of used Hyundai models available with the respectability and professionalism you’ve grown to expect from our personable staff. We’ve got the variety you’ll need to spice up your car-buying experience. So if you’re looking for a used Hyundai you can trust with all the features you want for at a fraction of the price, Joseph Airport Toyota has you covered. If you’re a family on a budget or a smart buyer looking to get more for your money, going with a used Hyundai can save you big in many ways. There are the obvious savings you’ll see at the dealership with lower monthly payments, but you’ll save in other ways like registration fees and insurance costs. New vehicles may seem like the smartest option, but as an investment, you may want to rethink it. Depreciation of a new vehicle is something to think about, considering new vehicles lose a good chunk of their value over the first few years. If you’re asking yourself why to buy from Joseph Airport Toyota, conveniently located near Dayton OH, we’ve got the easy answer for you. We offer the best financing options around with our special financing department and we even have solutions for those with bad or no existing credit. When it comes to customer service no other dealership can compete with our motto of honesty, integrity, and respect. We go the extra mile for our customers, so come experience the Joseph Airport Toyota difference today! We do it better, so check out everything we have to offer and you’ll understand why it’s better to shop with us today! Now that you have chosen the used Hyundai for your family, why not take in some culture. 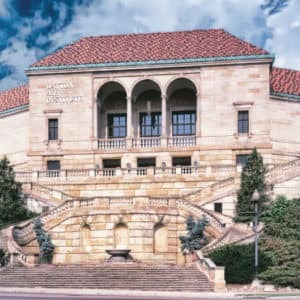 The Art Institute of Dayton will give your family a thrill as you view the beauty and precision throughout this well-known building. And with the YES Plan, you know you will get there and back with the peace of mind you deserve. Load up the kids and head down to the Art Institute in your used Hyundai today. You never know what the day can bring when you head out on the road in your Hyundai.